You might be a world-class presenter on-camera, but if we can’t hear you or the lighting is poor, your credibility in the eyes of viewers may suffer. Technical aspects to creating an online video play a major role in the effectiveness of your video. 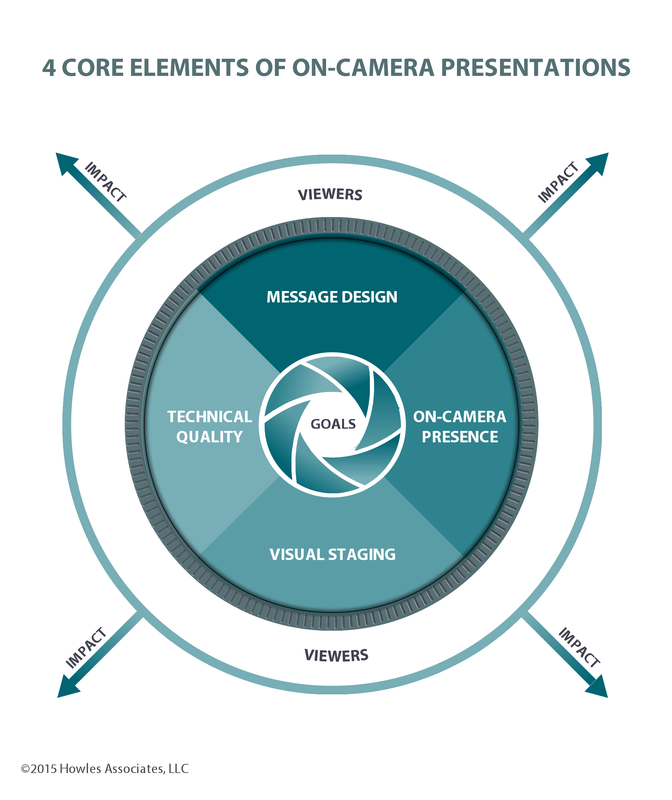 This technical aspect brings us to the last core element of the On-Camera Presentation Framework–“Technical Quality.” There are many aspects of video that contribute to this core element which can include lighting, audio, and camera quality, to name a few. To begin, audio is one of the most important aspects of technical quality. If the quality is poor, it can turn off viewers. In some ways, audio is even more important than good video. If viewers can, at least, hear and understand you, viewers can comprehend your message. If viewers can see you, but not hear you, you’ve lost the opportunity to communicate your message effectively. To ensure you have quality audio, avoid using the microphone off your recording device because this can make you sound like you’re in a cave. The exception to this is if the speaker is standing very close to the recording device. Instead, invest in a lapel microphone to record your audio. Test your levels beforehand by listening to rehearsal playbacks with headphones to ensure you are recording at the appropriate level. Technical quality also has to do with the recording equipment you’re using. In today’s world, you can shoot decent videos right from a tablet. Mount your tablet on a tripod for steady video. You can purchase adapter parts online to attach to your tripod which will hold the tablet video camera steady. Quality video cameras and higher-end smart phones also do the job well. Be sure to check playback for quality. When creating video, you’ll need lots of light, and that’s an understatement. Make sure you light the speaker’s face really well in order to delineate it from the background. Watch for hot spots on the forehead or sides of the face. You want to work to balance the light on the speaker. Additionally, ensure the speaker’s face is not in shadows or near a window to avoid sun glare. Even inexpensive LED lights from local hardware stores can light your set well.